Sean grew up in Ireland, but now lives in Liverpool. After studying Psychology at Universe, he ended up living and working in Hong Kong. This life experience promoted him, in his early 20s, to found a blog promoting well-being, positive thinking and mindfulness. 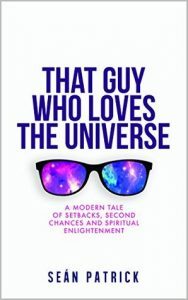 This led then on the path to writing and publishing his book “That Guy Who Loves the Universe”, which proved to be very popular. Following his own journey to published his book, he set That Guy’s House with the aim to support other writers achieve their dream of writing and publishing their books.